North American 3DS owners have been playing through Fire Emblem: Awakening since February, while Europe watches on with envious eyes. There's not that much longer to wait though, as Intelligent Systems' turn-based strategy title is set to make the journey across the pond on 19th April. There's even an exclusive 3DS XL bundle with the game pre-installed being released alongside it. To celebrate the impeding release, Nintendo has delivered a new puzzle panel in the 3DS StreetPass Mii Plaza. It's the same one North America received a few months back and will be available straight away - after acknowledging the SpotPass notification you should pick up your first puzzle piece. 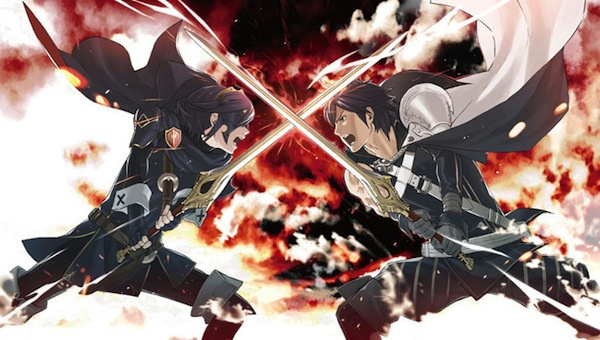 We think it's a fantastic 3DS title as we explained in our Fire Emblem: Awakening review. Alongside the demo - which is residing in the eShop right now - this puzzle panel will help to get Europeans through the final week of waiting. Are you looking forward to Fire Emblem: Awakening? Let us know your thoughts on it in the comments section below. @manu0 You're better off than I am. I can hardly ever streetpass with anyone. I got all of the blue and pink pieces for this puzzle roughly a month after it came out here in the U.S., and it's probably one of my favorite puzzles! I need more streetpasses. Came out awhile ago here in the US and I only have 1 piece (the one I got from Iwata). I feel bad for EU that they have yet to get this game (but it's close!) and then jealous that they get a LE 3DS XL when the US just got the normal one. It all equals out I guess. I'd swoop up that LE if I were you. Fire Emblem: Awakening is one of the most amazing 3DS games, if not the best. Sweet. Yeah, the new panels take some time to take off with regards pink piece distribution. But they do get there. That's the beauty of it. I've collected the pink pieces for all of them except the last 4, but I'm only missing 3 or 4 pink pieces for the first 2 of those. It makes it a fun decision when you StreetPass someone with them - do I take a standard blue that will finally finish off a puzzle that's been missing a piece for weeks, or do I go for the illustrious pink but leave the other unfinished for even longer? @chrysanthemum, I know how you feel, I posted about the panel this morning in the new puzzzles thread. @Five-seveN Yeah, not to mention that the few times I try to use coins, they just end up "unlocking" an already unlocked puzzle piece. I'm not sure how nintendo thinks we in the smaller places are going to even come close to finish all these puzzles. @Shroom_Muncher It's probably because you got your 3DS later than when some of the SpotPass puzzles were released, so it picks out a random one that you don't have instead. Those pink puzzle pieces where a really bad idea, they need to go back to just having the puzzle panels the way they where in the beginning. Anyway I'm really looking forward to getting Fire Emblem. This is my most wanted game since Kid Icarus: Uprising. @IsawYoshi I guess we don't finish those puzzles. I live in Mississippi, and I RARELY get any streetpasses. Now if I lived in a big city I might, but...I really hate that Nintendo did the pink puzzle pieces. I get so few streetpasses that the only way to do Find Mii II is to spend a month getting 300 coins from walking which often is an infuriating experience when I come upon an icy room and it won't give me two red heroes so I end up wasting a bunch of coins. I really wish they'd remove the pink puzzle pieces concept and the 10 play coins a day limit. Luckily, I'm ALMOST done with Find Mii II. I'm still missing a lot of hats, but I've almost gone every route on the regular and secret quests so I don't have any plans to try more. I'm gonna focus on what puzzles I can finish after that. got the new fire emblem puzzle this morning, completed it already (with a few play coins) so back to having no more new puzzle pieces to collect... japan is the place to be if you want to complete those puzzles. I work in Cardiff Wales, and I would have thought streetpass hits would have been really infrequent, but walking around the city still yields regular hits. @AhabSpampurse I live near Swansea, but my brother lives in Cardiff so I visit him frequently, and was kinda disappointed at how few hits I got from a few hours wandering around St. Davids shopping center. Any tips for areas with more hits? I got a New Super Mario Bros 2 panel+piece instead :/ I guess it's because I only had 6 panels in total (4 of them completed though!). While I've been waiting I've played through GBA Sacred Stones which is brilliant for anyone who might not have played it. Still no special mii release though... One in 2 years is rubbish. That's why it's so hard to get the pink pieces in the UK. Conventions are the only place to get them. I already have my review copy and I'm quite enjoying it to be fair, it's not everything I expected though. I live in Tampa,Florida and I get like no streetpasses only with my brother.